Silly Point Productions is one of the premiere theatre production houses in India today, operating out of the financial capital of the country, Mumbai. Their plays have an instant connect with the youth and since 2008, have been at the forefront with comedy theatre. One of the rare group to have performances in three different languages. English, Hindi and Parsi Gujarati. 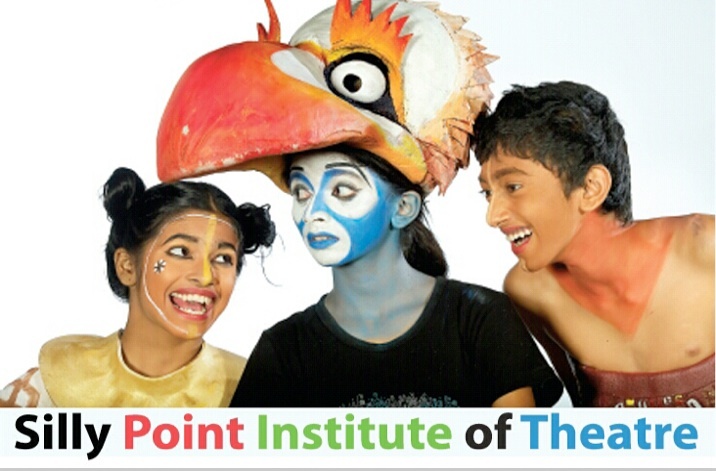 Silly Point is also one of the most sought after group when it comes to theatre workshops – with acting and drama based techniques being taught by them every year at NCPA’s Summer Fiesta and they also have yearly activity with various schools in Mumbai and across India. Like Dat Only, The Class Act, Rusty Screws, Four Square, Kalaam, Black Comedy, I’m Bawa and i Know It, FOOLS, Screwala No Dhillow Screw, Miss Bindass, Pakar Maari Poochri, Laughter Therapy, The Buckingham Secret, The Relationship Agreement, Bunglaa Mah Bungli, Amar Akbar Akoori. Teach For India, H.R College, Mumbai, Choice School, Kochi, NCPA Summer Fiesta, Walsingham House School, Bombay Teachers Training College, St. Xaviers College (XIC), HPY (Bombay Parsi Panchayat), ZYNG (Zoroastrain Yout Next Generation), Bombay International School, St. Mary’s School, Bombay Scottish School, Cathedral and John Connon school, Alexandra girls English institute. Stage Right: Inter – School Drama Competition: Silly Point Productions is the managing team behind the latest NCPA initiative for school children, where all the top schools from Mumbai compete in a drama competition at NCPA Experimental each year, giving the young students an opportunity to be on the same stage at Professional actors such as Shabana Azmi, Nasseruddin Shah, Padmashree Tom Alter, amongst others.